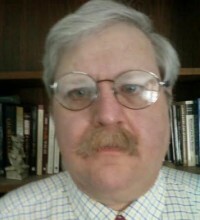 Eugene C. Tarne is a senior analyst with the Charlotte Lozier Institute. He is also the president of Tarne Communications Inc., a communications and issue advocacy company he founded in 1999. Beginning in 1989 and continuing to the present, Mr. Tarne has been a communications and media relations consultant to the United States Conference of Catholic Bishops Secretariat for Pro-Life Activities. In this capacity, he works closely with the Pro-Life Secretariat to develop messages, promote issues and legislation, develop new programs and materials and implement communications strategies designed to educate the public and promote pro-life issues in the public square. These issues include abortion, assisted suicide and euthanasia, and bioethical issues, especially cloning and stem cell research. In 1996, Mr. Tarne helped found the Physicians Ad Hoc Coalition for Truth (PHACT), an organization of doctors and other medical professionals formed to bring the medical facts to bear on the partial-birth abortion debate. Mr. Tarne graduated from Georgetown University in 1977 with a B.A. in Theology. He received his M.A. in History of Religions from The George Washington University in 1979. He was offered scholarships to Harvard, the University of Chicago and the University of Pennsylvania to pursue a Ph.D. in South Asian Studies. He attended the University of Chicago and later the University of Pennsylvania, where he completed his Ph.D. studies, except for dissertation. Proponents of assisted suicide often dismiss “slippery slope” arguments on the grounds that proper safeguards will assure that assisted suicide will not devolve into euthanasia, either voluntary or not. The California based City of Hope, one of the country’s leading cancer research hospitals, recently sent out birthday greetings to the California Institute for Regenerative Medicine (CIRM), the nation’s leading funder — apart from the federal government – of stem cell research. “On its 10th birthday, the California Institute for Regenerative Medicine celebrated 10 stem cell therapies that have been approved for clinical trials, including an HIV/AIDS trial at City of Hope,” the message read. The birthday greeting contained an unintended irony, for while CIRM was approved by California voters a decade ago to give priority funding to human embryonic stem cell research, eight of the 10 approved clinical trials referenced by City of Hope were for research projects using adult and other non-embryonic stem cells. Diabetes has long been one of the main diseases for which human embryonic stem cell (embryo-destroying) research, or hESCR, was claimed to hold the greatest promise of curing. But for well over a decade now, ethically contentious human embryonic stem cell research (hESCR) has notably failed to live up to all its hype, with promises of miracle cures within “five to 10 years” remaining unfulfilled. That remains true today, despite all the renewed hype that accompanied recent reports that researchers had coaxed hESCs into becoming insulin-producing cells. Researchers using ethically uncontroversial induced pluripotent stem cells (iPSCs) have achieved what appears to be a major breakthrough in understanding the origin and development of Down syndrome, according to a new study recently published in Nature Communications. This paper continues the investigation of stem cell research funding in the United States by examining the funding patterns at the Maryland Stem Cell Research Commission. This investigation reveals that the Maryland Commission is keeping with the trend of investing more money in ethical stem cell research as opposed to embryonic as it is this route which is providing demonstrable results. The horrors revealed at the trial of Philadelphia abortionist Kermit Gosnell have put abortion advocates in a defensive pose. Among the charges Gosnell faces are murder in the death of a woman undergoing an abortion, murder in the deaths of four newborns, and performing late-term abortions beyond Pennsylvania’s legal limit for such procedures. This paper examines the funding pattern of the California Institute for Regenerative Medicine, an institution which characterizes itself as the “largest source of funding for stem cell research outside the NIH.” Tarne demonstrates that funding has moved from grants directed primarily towards embryonic stem cell research toward primarily ethical stem cells research – which has been the only stem cell research to date to result in positive treatments for illnesses. Two recent developments involving the California Institute for Regenerative Medicine (CIRM) again serve to underscore the reality that adult and other non-embryonic avenues of stem cell research are advancing at a far more dramatic pace toward providing actual therapeutic benefits for patients than is human embryonic stem cell research (hESCR). The Journal of Medical Ethics (JME) is one of those highly specialized, relatively expensive publications that cater to a targeted group of professionals. Because these journals are expensive (a print/online U.S. annual subscription for the JME is $431) and have such a very specific audience, they are rarely read by laypeople outside the professional circles they are intended to address.